The Pope has never officially blessed Liberation Theology and has at times not been publicly pleased with it. In a fashion reminiscent of Charles T. Russell, parts of the Catholic Church (Jesuits, Dominicans, Paulist Fathers, etc.) began to promote what is actually Judaism as a type of Christian theology called "Liberation Theology." "The writings of these theologians [liberation theo.J express a common conviction that the rights of the poor must be upheld in a quest for the liberation of the oppressed. ... Thus the kingdom of God, contrary to what many Christians believe, does not signify something that is outside of this world. Each individual must make an effort to bring about a new order, a mission based on Jesus' actions and teachings as recorded in fin the gospels." This Author's reaction to Liberation Theology is to be amazed at how sheeplike even Theologians are; the people of the New Order make it fashionable to believe in Liberation Theology (a Christianized Judaism) and all the sheep just follow along. Even the Catholics are forgetting tradition and going with the fads. So the dialectic synthesis of Judaism and Christianity is Marxism, (Oh? ), does the reader see how they attempt to control both sides of an issue to control the synthesis? The Nicaraguan revolution was a carefully thought out orchestrated affair.84 The Sandinistas would have had little chance of installing a Marxist government in a country 91.6 % Catholic if the Catholic clergy had not supported revolution and preached to the people that the revolution was a religious matter sanctioned by the church. "Heaven became the earthly paradise of the workers from which captialism is abolished. "85 The National Council of Churches gave $305,000 in 1981 alone to the Jesuit staffed CEPAD in Nicaragua to help support the Revolution. The Jesuit influence has meant that the Roman Catholic population of India of 3 million has slipped back into what is Hinduism. The Mason Pope John Paul II has publicly endorsed such syncretism.88 And much of the Catholic church is following suit. Zen Buddhism and Hinduism are being practiced now by many Catholics at church sponsored events. A local Christian (protestant) went to a retreat put on by Catholic monks. After coming home, he felt very good about his experience, until his brother who is a Zen Buddhist convinced him that what he had practiced doing on the retreat was Zen Buddhism.89 Both of the two main schools (types) of Zen Buddhism teach that the goal of the Zen Buddhist is enlightment--which they call "satori." The founder of Zen got his enlightment by staring at a blank wall for 9 years straight. The Christian concept of sin doesn't even enter the picture. For instance, listen to two Zen teachers describe satori. The love of Buddhism within the Catholic Church can be experienced by reading the weekly articles in the National Catholic Report. 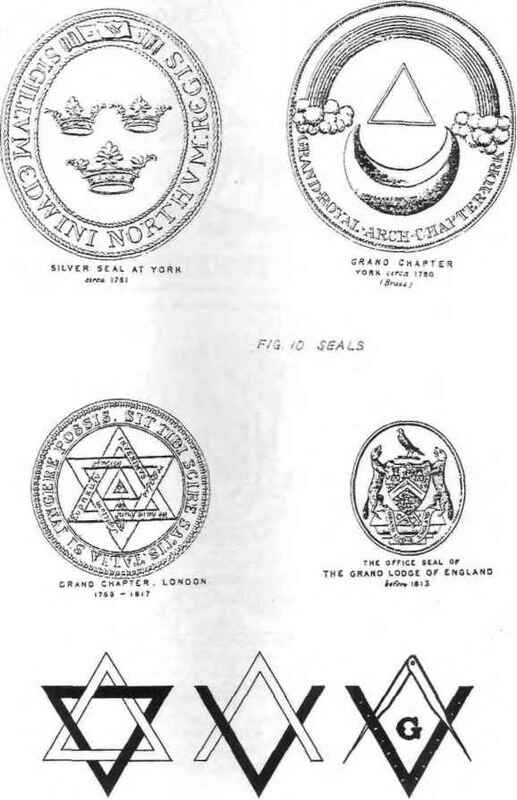 People from some areas can remember how the Protestants in their area would join the Masonic Lodge, and the Catholics would join the Knights of Columbus, and that the two sides were separated by tensions, and animosities. On Washington's Birthday (how appropriate) in 1967 the two secret fraternal orders held a historical "fraternal summit." The leaders of the Catholic Knights of Columbus and the leaders of the Northern Jurisdiction of the Scottish Rite of Freemasonry discussed the coordination and combination of the two fraternal orders. This fraternal detente or pact of cooperation is a phenomena of the greater event, the capture of the Catholic Church by Freemasonry.